The Hollingsworth stuff is kind of difficult to answer because at this point I don’t really know where they plan to go with it. Structurally, there needed to be some kind of “conclusion” to the rivalry between Miles and his dad at the end of 14A, but that doesn’t mean the arch itself is over. There’s essentially two ways things will go: either the Hollingsworth kids eventually resolve things with their dad, or they won’t. WHAT I DON’T WANT TO HAPPEN: For the plot to completely disappear after 14A…in other words Mr. H moves out, the kids are satisfied and that’s that. I also don’t necessarily want a quick resolution where Mr. H has a “lightbulb” moment, realizes he’s hurt his kids and they become one big, happy family. WHAT I DO WANT TO HAPPEN: I want us to see the gradual process of reconciliation or destruction. The problem with that is the potential for storyline fatigue, because my vision for it expands over multiple seasons (it would require more quick hits/secondary coverage, because it can’t always be one of the major storylines of any given block). Also, Degrassi fans are quite inconsistent: we’ll whine about the show wrapping up plots in 2 episodes, but if an arch like this were still happening in say season 15 or even season 16, we’ll turn right around and complain that the show is dragging things out. The thing is though, family issues that have lingered as long as the Hollingsworths’ don’t just go away, and sometimes it takes months or years of work to re-establish a foundation…if they’re willing to start over at all. Personally, I’d love to see a combination of resolution/non-resolution here: by the time all is said and done and the Hollingsworth kids are ready to graduate, maybe Frankie and Hunter have been able to forgive their father, but Miles is just too hurt and resentful to accept his father’s love as he ventures into adulthood. As far as Yates is concerned, I’m on the side of people desperately hoping that he returns. They left his departure in season 13 wide open, so it could go either way. The school year is nearly over, but what if he were to return the following school year (aka a season 15 return)? Plus the show has set it up so that Tristan is basically on his own now. He may still be friends with Zoë, but the show seems intent on pairing her up with Zig at the moment. I would be quite disappointed if the show didn’t bring Yates back. 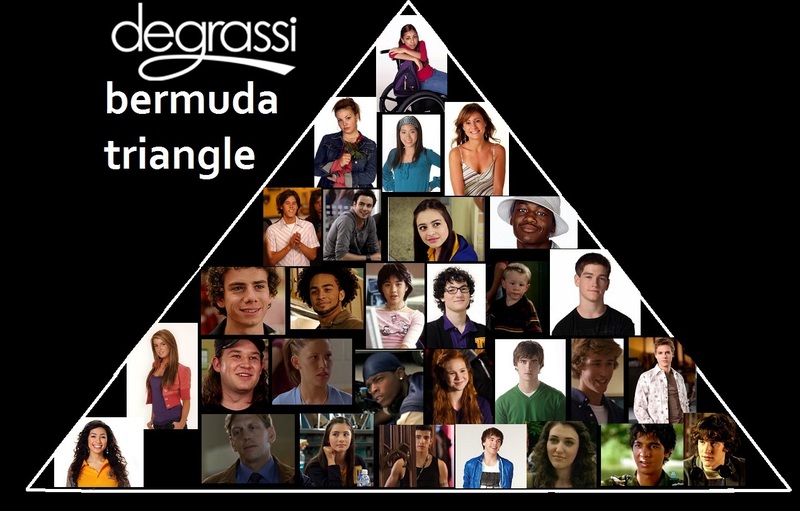 For those who don’t know, DBT stands for “Degrassi Bermuda Triangle.” It’s also sometimes referred to as the “Degrassi Black Hole.” It’s where Degrassi characters go when they randomly leave the show before their graduation, especially if they disappear without a sendoff or any kind of explanation as to where they went (the latest victim would be Keisha). For years we’ve also joked about the DBT being somewhere in Africa, because that’s where they sent Darcy Edwards when they had to write off her character in season 8…we jokingly assume she’s still there because the show has mentioned her several times since, but never her whereabouts. Wesley was quietly the king of subplots during his tenure on Degrassi. As for the question, honestly I wish ALL of them had stayed! But this show doesn’t work where every character is seen as equal or is destined to remain on the show until they graduate for a variety of reasons, and that’s the way it goes. Out of those four though, Wesley is the one I wish would’ve stayed the most; I really enjoyed some of the things they did with his character. His awkward nerdiness was relatable as was his lighthearted plots, which is also an important thing to have to counterbalance all of the serious stuff. I remember thinking one of the small, yet coolest things Degrassi’s ever did happened in Still Fighting It, when Wesley randomly appeared with broken wrists. Spencer Van Wyck had broken both wrists in real life, and I actually loved that the show just had him film anyway, writing a plot around his injury without creating a backstory behind it. The show is always going to be generic and politically correct when explaining why a character/actor is no longer on the show, because there’s no reason for them to take shots at these kids on their way out, or call them out on private matters. There’s also times where things happening behind the scenes have an impact. Sometimes the show wants to phase out a certain character, and that’s their choice whether we like it or not. Other times the actor wants to leave. Either way, don’t get trapped into the mindset that Degrassi is the be-all, end-all of “celebrity stardom” in Canada for these actors, especially with this current generation. 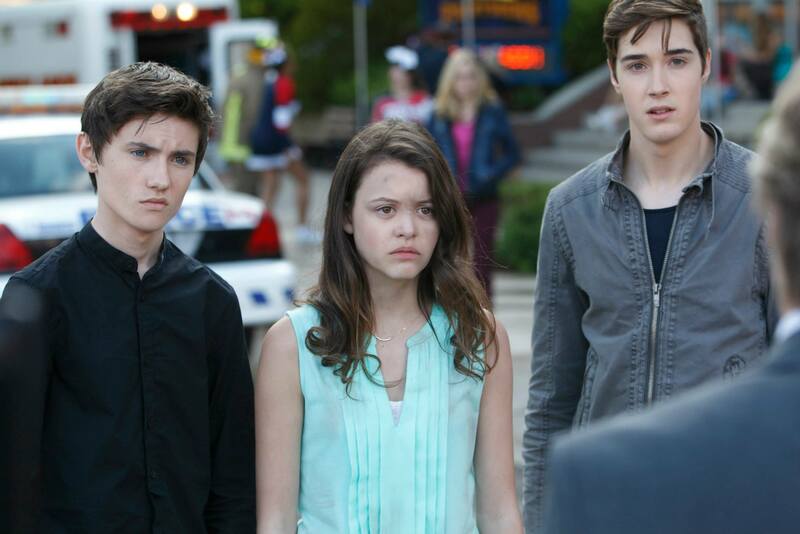 They’re far more involved in other projects while also on Degrassi than the TNG kids ever were. For example, the current group of Tenners could be around for many years to come, but I wouldn’t be surprised one bit if say Ana Golja or Lyle Lettau left long before their character’s projected graduation to do other things. *Sean Cameron: I wish he hadn’t left in season 4…you don’t know pain until one half of your OTP just ups and leaves during the middle of a season. *Oskar: I remember it being rumored that they might’ve been planning to make him the “Marco” character before Marco was created. *Spike and Jack: poor Simpson, we’re not sure if his family/house even exist beyond Clare’s dreams anymore. My favorite ships of all time can be found here…I don’t really have any others listed that I love except for Jonnor. It’s easy to ship a couple like Jonnor when they’re super entertaining in the limited amount of screentime they have. Despite popular belief, you do NOT want your ship to have a lot of screentime on Degrassi. Ship screentime = the show ripping said ship to shreds for fun as the writers laugh at your severe overreactions on social media. You reacting like a crazed fan = they’ve done their job. I’m a weirdo when it comes to shipping because I’m generally indifferent toward an overwhelming majority of Degrassi ships, while the average fan tend to be very black & white in their stance of any given ship; people either love a ship or they hate them. Take the past 4 1/2 seasons for example..it doesn’t matter how much one fan loves Eclare and another fan hates Eclare, over the years both sides have shown they are no different from each other in terms of their passion and obsession with Eclare (and the entire fandom’s obsession with talking about Eclare is essentially the reason why Eclare is still on the show in 2015…but that’s entirely different discussion of its own). Peter and Mia (Pia) is the only ship I’ve hated, excluding that other ship that shall not be named. I remember being irritated about Pia’s relationship forming so quickly, but it’s also been a very long time since I’ve watched season 8. I really need to rewatch with analytical eyes and see if I still feel the same way. I watched a few episodes, but it never ended up being a show that caught my interest. Back then I didn’t watch as much TV as I do now, and never felt inclined to search for it on demand, etc. Most people have no issues firing up a binge session of a bunch of recorded episodes or just watching an older series out of the blue, but for some reason I’m rarely ever motivated to do that. Like certain older people who insists on doing certain things the “old way” (like landlines over cell phones), I’m all about watching episodes live. And if I can’t watch them live I have to watch them that same night, otherwise I’ll end up not watching them at all. The Hollingsworth Clan is one of those topics that is hard to sugar coat and to fix in a short time. As for Eclare how are they going to fix these 2 in less than 5 or 6 eps? Either they sugar coat like always or they leave that door open like they did with Dolly J & Ziley & Janny. I still feel that The sugar coating is the biggest problem I have with most couples. As for DBT.. I wish they kept Wesley & Dave as recurring.. I love those two. As for shipping I loved Sellie & Drianca. I do hope jonnor does make it. I can see Jenna heading to California with Connor when he goes to Cal Tech.. As for Bhandallas I can see splitting due to university and Dallas’s so. Imogen heads off to NY for Art school.. Sorry I don’t ssee anything wonderful about Jackogen. Like you, I am also indifferent to most ships. I have some that I love (Jiberty, Spane, Sellie, and Palex, and a few crackships) and a lot that I hate (Emma/anyone, Craig/anyone, JT/Mia, JT/Manny, Paige/Griffin, Ellie/Jesse, EClare, Clew), but I have no strong feelings either way towards the rest, although I do lean close to liking or disliking a few of my indifferent ships. As for black holed characters that I wish had stayed, definitely Wesley. He was one of the most likeable characters in Degrassi history. Derek, because I feel that there was storyline potential with him being adopted. Kendra, because of her ties to Spinner and she also had potential with her adoption storyline. And although she wasn’t technically blackholed (which is surprising, actually), Liberty deserved a proper final episode instead of a two second cameo at Spemma’s wedding. Nice article. Not a big deal, but I’ve noticed your use of the word, “arch” quite often in the past few months. The term you want to us is, “arc”. As I’m sure you realize an arch is a curved support over an opening, for example a bridge. In storytelling, either video or print, an arc is used to signify a continue plot device that spans several episodes, chapters, or books. Just FYI, in the nicest possible way….